With iron farms changing in 1.14 to be about villagers at a meeting point, my question is, does that mean we can now only build iron farms in the new villages that have a 'meeting point' or does X amount of villagers around a town bell create one anywhere you set it up? I didn't doubt me someone would find a design this fast. Wait, what's the iron farm rn? 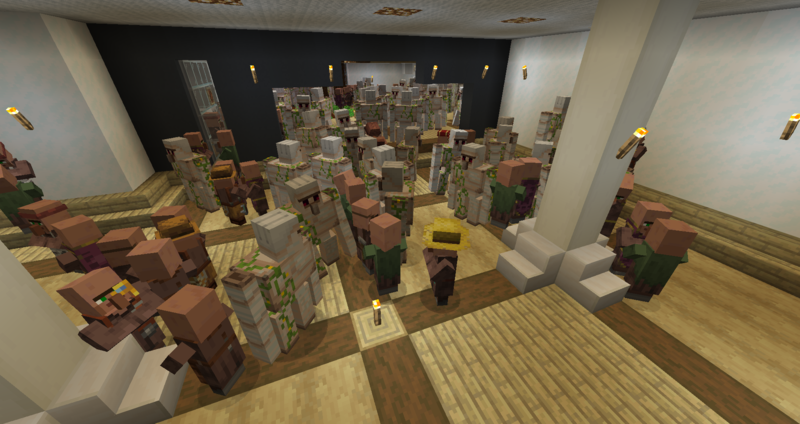 The way they work now (up to 1.13) is that the iron golems spawn in a 16X6X16 block box around the geometric center of the village as determined by the positions of the valid doors if there are at least 10 villagers and 21 doors. Bad news for technical players looking to move older worlds forward: all previous Fe farms and (probably) all villager breeders/farms etc are broken. From ilmango's video, it appears that the concept of a village as a 'thing' has been removed: villagers no longer have inside/outside village issues. Iron farms (and villager breeders and villager-tech farms – assumingthe currently broken breeding and farming mechanics are fixed) can be built at any location. If anyone's planning doing any renovations to their 1.13 iron farm in 1.14 however, break all wooden doors in 1.13 first then upgrade, as there tends to be a glitch due to counting ticks that will shut down the game if you destroy previous iron farm doors in 1.14!! Does that mean that breaking any 1.13 village doors at all in the snapshots can crash the game? I wouldn't think the game would be able to tell the difference between an iron farm and a normal village. I sure hope they fix that before 1.14 is released. I don't know about a normal village but with my iron farm (Using a copy of the world naturally) it crashed every time I went to remove the doors!! 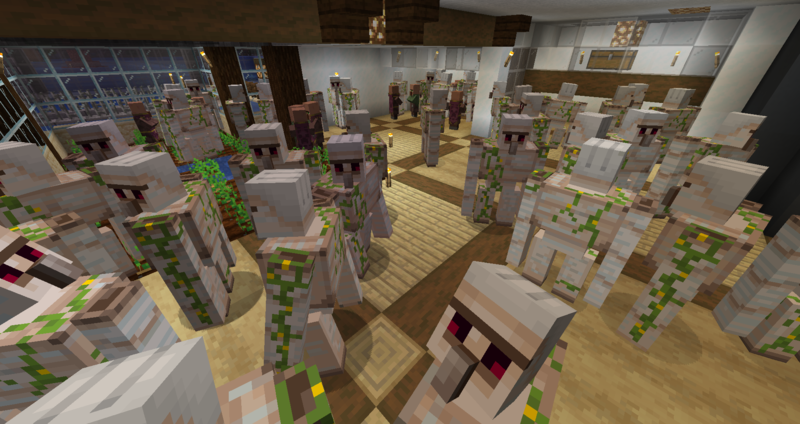 I had to make sure every door was removed in the iron farm in 1.13 before then re-launching in 1.14 snapshots. Even just the 6 doors in my trading hall had a fit when I tried to remove them in a snapshot. That said, in the farm in the floor above they also spawned and on the roof/around outside the entire building. The one i'm using for snapshots is a "Copy" of the world, not the actual one. I wouldn't move the actual world to a snapshot only to a stable release.